A well maintained natural area better performs its ecological functions. You just bought your brand new, custom built, dream home. It’s beautiful and has the perfect kitchen, with stained cabinets and heavy-duty drawers to store your favorite spaghetti sauce pot. The window above the kitchen sink looks out into a small retention pond where the developer put in wildflowers and grasses that are alight with busy bees and birds. You’ve even seen a mother deer leading her two spotted fawns out of there in the early morning! Ecologist & writer, John Muir, once wrote, When we try to pick out anything by itself, we find it hitched to everything else in the universe.” Research has shown that protecting entire native habitats is imperative for the survival of endemic species. Without those species, entire ecosystems are at risk, which can lead to a collapse of important ecosystem services such as natural stormwater management, water filtration, pollination, and biodiversity. These benefits make maintaining natural functioning ecosystems more valuable to the world economy than the economic cost of restoration and maintenance. Man and Fire have a sort of symbiotic relationship. The discovery of fire stands alongside agriculture, the wheel and the steam engine as one of the most revolutionary inventions of human civilization. Of course, fire has been around for, well, forever…man simply recognized its importance and learned to harness its power and control it. Prior to man’s ability to create fires for themselves, lightening events caused fires that proved quite beneficial to hunter & gatherer communities. It drove scattering animals towards them for easy prey, and it cooked the entire landscape, leaving foraged food more edible and nutritious. Once they learned how to control it, early humans used fire for cooking as well as to a management tool for the tall grass savannas. The Great Plains were subjected to regular controlled burns by Native Americans, as a means of managing plants, improving the quality of grazing materials, as well as to control bison herds’ movements. Fire is an effective management technique for prairies & savannas. It is lower in cost than if the same amount of plant material was tackled with mowers, chain-saws or herbicide. It also increases available nutrients in the soil, kills invasive Eurasian grasses and knocks back invasive shrubs & trees. It creates ideal habitat conditions for native prairie grasses, who withstand fire by keeping large stores of energy in its root system. It can certainly be nerve-wracking to see the high plumes of smoke and licks of flames arching overhead, but controlled burns are carefully managed to prioritize safety. An IDNR certified burn manager is on site for the whole day, accompanied by a trained & certified prescribed burn crew. The burn manager is trained to look ahead at weather conditions and continue to reassess throughout the day to keep everyone safe. The crews are equipped with tools, including a “swatter” tamper or a backpack water pump, to control the spread of fire. After a burn, the ground will, of course, be charred and fairly barren. This allows for light to penetrate to the soil and new seeds to grow. The prairie plants hiding down in their roots begin to sprout anew, the soil more nutritious than before, and with less competition. Like a phoenix, the prairie rises back up from the ashes and renews the landscape, creating beautiful habitat for small mammals, deer, frogs and insects. A 2016 report by the US EPA, What Climate Change Means for Illinois, found that the biggest risk to Illinois will come from heavy rains, flooding and drought. Spring & Fall rainfall and thunderstorms are expected to intensify, something we certainly saw this past year. While precipitation in Illinois overall has increased by 5-10% over the last 50 years, this rain is coming in shorter time spans, leading to increased risks of flooding. During flooding events, the ground becomes supersaturated with water, and excess water gushes into the stormwater drains, fills up basements, and serves as breeding ground for mosquitoes. In the city of Houston, flooding in 2015 & 2016 (prior to Hurricane Harvey) caused $1 billion in damages to 16,000 buildings. Geologists and urban planners were able to tie the devastating flooding back to over-development in wetlands and floodplains; paving over some 38.000 acres of wetland since 2000 (Time Magazine). 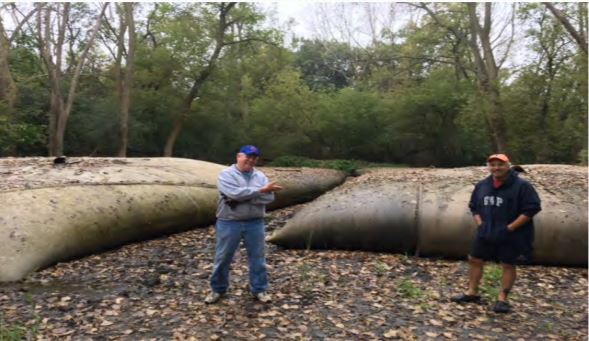 By restoring the types of habitat and water filtration systems that historically existed in the area, Houston, and other forward-thinking cities, have a chance to protect their waterways and their communities from destructive floods. Rain gardens are designed by planting tolerant plants in a natural slope or depression. They are considered “tolerant” because they are capable of soaking up large quantities of water during heavy rains while still surviving in dry spells. They slow the flow rate of stormwater, and absorb greater than usual amounts of water into the soil. Whether you contour the land to direct the water towards storm drains/ surface waterways, or you plant along current flow paths, rain gardens serve as a great way to manage flood events. By slowing the water, rain gardens have the added benefit of protecting shorelines from erosion and recharging groundwater aquifers. Rain gardens are typically constructed with native plants, that is, plants that have historically been part of the Illinois landscape since pre-development. Native plants provide the most benefit in rain gardens because they are habituated to Illinois climatic conditions and soil types. Their deep roots help secure the shoreline and give the plants a high tolerance for droughts or flooding. Rain gardens also filter the water as it flows through them. This can help protect your lake from pollutants including lawn chemicals, oil and heavy metals. Because of the topography of many neighborhoods in the Chicago Metropolitan area, lakefront areas can convert into waterslides during heavy rains, especially as runoff from roofs and roads joins the mix. Natural shoreline buffers can reduce runoff by 40% or more, with most of that water trickling into the groundwater supply instead. Rain gardens also filter out sediments, which can cause siltation in waterways. In areas where drinking water is sourced from shallow water aquifers (pockets of freshwater located underground between the soil and the bedrock), rain gardens help ensure the quality of groundwater. Rain gardens and shoreline buffers can provide a means of natural pest control: they are unfavorable to geese, who don’t like the grasses taller than their necks, and dragonflies feed on mosquitoes. Instead, these natural areas become habitat for desirable species such as sand-hill cranes, dragonflies and butterflies. Native shorelines and buffer gardens can improve the health of your beautiful lakes, bringing them back to center stage in your community. Planting native prairies can help restore the ecosystem on your commercial property and essentially “give back” to the land in a number of ways. You’ll protect the biodiversity of plant species, which means breaking the ecological monotony that turf introduces. And, native prairies help restore soil quality, translating into benefits such as controlling rainwater runoff. Not to mention, native prairies in the landscape act as a sound barrier, useful for Chicago properties where you hear traffic, not wildlife and birds. You recognize that planting prairies is a positive, but where do you start? There are thousands of species, and some can actually be quite aggressive. Others take longer to establish. What types of prairie plants are best for your Illinois landscape? Here, we take some of the guesswork out of the prairie plant selection process by suggesting five prairie plants that can be planted together to create a balanced, bio-diverse, interesting landscape. Following is a prairie plant cheat sheet with some notes on why we love the way these lovely natives grow. Staggering bloom times in a prairie setting will provide continuous visual interest. When one variety passes its prime, another will blossom. Aromatic Aster is a late-fall bloomer, flowering in August in September. The plant has stiff, branching stems that create a bush-like appearance. It explodes with blue-purple flowers that turn reddish purple. The color adds an appealing contrast when mixed with prairie grasses, and the low-growing profile keeps the property looking natural yet under control. A variety of plant sizes in a prairie landscape creates textural appeal. It’s like having risers on the property, with some plants popping up to grab your attention and others drawing the eye down so there’s motion in the landscape. The combination of short and tall plants adds important aesthetic value. It just keeps things interesting. We love Prairie Blazing Star because of its hardy stature—and it’s a conspicuous prairie plant. The native herb grows from a tuber and reaches 2 to 4 inches in height, blooming in July through September. The top of the plant has rosy purple, spikey flowers that have a fuzzy appearance because of extended white stamens. The combination of flower and stalk make this plant a beautiful pick for your Illinois prairie-scape. The vibrant orange flowers on this low-profile mounding plant are long-lasting and attract butterflies (of course), making this famous milkweed plant a prairie favorite. The plant grows 2 to 3 feet tall, and blooms June through September. Rugged Butterflyweed will survive in a range of soil types. We love how this plant is a versatile, showy addition to a prairie landscape. You may also know this plant as prairie beardgrass or small feathergrass—fitting nicknames for the low-growing, coarse prairie grass that flaunts fluffy plumes once seed matures. It reddish tint offers winter color, filling in after fall bloomers are finished. There are a number of different cultivars of Little Bluestem available, giving you options based on your growing habitat. This prairie plant plays well with others, mixing nicely with varieties like purple coneflower and the other selections highlighted here. The fountains of fine-textured, green leaves that Prairie Dropseed produce create a textured backdrop in a native prairie landscape. This plant grows in clumps that are 2 to 3 feet tall, including the flowery stems, and it blooms July through August. Prairie Dropseed tolerates a range of soil moisture levels, making it versatile and hardy. Another bonus is that Prairie Dropseed is a manageable variety—some prairie plants can reseed quickly and grow rather aggressively. Prairie Dropseed can function as a border when planted 18 to 24 inches apart. It adds emerald green character when dispersed throughout a prairie landscape. With these five prairie plants that thrive in an Illinois landscape, you can establish a diverse, interesting and beneficial ecosystem on your Chicago property. Let’s talk more about native prairies and the supportive environmental role these plants play in restoring our ecosystem. Call Bluestem any time at 815.568.2927. There’s no such thing as a no-maintenance landscape. As long as a living thing takes in nutrients and grows, there are some responsibilities required. So, while native prairies and sustainable landscapes call for less frequent maintenance than a traditional landscape — which requires weekly mowing and weeding — you can’t just plant-it-and-forget-it. First, it’s important to understand the difference between a sustainable and native prairie landscape. We talked about that in detail here, but to sum it up, your sustainable landscape is created with a design intent and installed using plugs or plant stock. Sustainable landscapes essentially require the same level of maintenance you’d give to a perennial garden. A native prairie is planted from seeds or plugs. The growth of grasses and forbs is somewhat random, and the purpose of the native prairie includes managing stormwater, improving soil quality, and returning beneficial plant, insects and animals to the environment. There is less annual maintenance required for native prairies, but certainly seasonal to-do lists to keep growth in check and prevent invasive species like thistle. If you choose to install a sustainable landscape or native prairie on your property, you’re certainly taking a lower-maintenance approach to landscaping while providing the environment with measurable ecological benefits. But, there is still a bit of work to do during the year. Here are maintenance activities you can plan on for both types of landscapes to keep them growing strong for the long-term. Sustainable landscapes include native plants that are relatively drought-tolerant, minimizing the need for irrigation, unless extreme and prolonged heat is stressing plants. In that case, watering is important to feed plants so they can withstand hot, dry bouts in mid-summer. But the purpose of a sustainable landscape is to create a design using plants that require fewer “inputs” than traditional landscapes, which are mostly grass and require weekly mowing, fertilizing, edging and annual aeration and (sometimes) overseeding. Compared to a traditional landscape, a sustainable landscape requires much less ongoing maintenance. You can compare it to caring for a perennial garden. You need to preserve the design intent, so certain maintenance activities are necessary to accomplish this. For example, sustainable landscapes need to be weeded to keep invasive species from taking over. And, some native plants can reseed and spread, so weeding also can include removing natives that crop up in undesired locations. The maintenance requirements for native prairies depend on whether the landscape is newly planted or established, which generally takes about three years. For new native prairies, mowing is necessary twice annually and grasses are cut back to 6 to 8 inches. This shorter height prevents weedy species from moving in while plants are still establishing. Mowing is also important in early stages of native prairie development because if you let grass grow without a cut, it will shade out germinating seeds and prevent them from getting necessary sunlight to grow. Well-established native prairies may never need to be mowed, or you might choose to mow them once a season. In new and established native prairies, some weeding is essential to remove invasive species such as sweet clover, ragweed, canary grass, thistles and teasel. These invasive species can quickly take hold of a native prairie and choke out desired species. The use of herbicides may be necessary to control aggressive growth. Go in with the mindset that sustainable landscapes and native prairies are an alternative to traditional properties with lots of grass, but they still require TLC. However, you will reduce the frequency and level of maintenance required on your commercial property if you choose to plant a prairie or implement a sustainable design. Let’s talk more about how to properly care for your grounds so your property can fully realize the benefits that native prairies and sustainable landscapes offer. The birds and butterflies that visit your commercial landscape can be as much of an attraction as the plants growing on the property. Watching a colorful butterfly land on an open flower petal and flutter into the sky can feel magical—like you have a backstage pass to nature’s “show.” Birds of all kinds will visit your Illinois landscape, making your great outdoors a dynamic, interesting experience for visitors, employees or residents. And while bees might seem like a bother, they play an important role in the pollination process. If you plant certain native trees and flowers—the birds and butterflies will come. And when they do, not only will you enjoy watching their activity, they’ll improve your landscape from an ecological standpoint. Aside from aiding in pollination, they can even provide natural pest control. As for birds, they also eat a range of insects you don’t want in the landscape, and certain species like finches and sparrows consume weed seeds. Birds also play a role in pollination, too. The presence of all these creatures is a sign of a healthy outdoor environment. Want to attract birds, bees and butterflies? Here is a short list of native plants that will lure in these beneficial, fascinating creatures. Appearance: This bushy perennial blooms with flat-top clusters of bright, orange flowers. The vibrant, fiery color adds visual interest in the landscape and attracts winged beauties. Growth habits: Butterfly weed, also called orange milkweed (even though it does not produce milky sap), can grow up to 1½ to 2 feet and it loves full sun. Butterfly weed does well in dry and moist soil, making it a relatively versatile ornamental in the landscape. Appearance: Blazing star is a perennial, flowering herb with long, tapering, curled leaves that range from 3 inches to 1 foot. Leaves are longest at the bottom and get shorter as they progress up the stem. Flowers bloom in pinkish-purple colors. The deer-resistant, drought-tolerant plant is versatile for the landscape—and blooms in spring and fall. Growth habits: This wildflower grows up to 8 feet tall, and spreads about 2 feet wide. It thrives in the Midwest and loves well-irrigated soil. Appearance: Also known as redroot, this deciduous shrub has leaves that look grayish and produces small, white clusters of flowers on branch tips. New Jersey tea gets its name because the dried leaves were used to make tea that was popular during the Revolutionary War. Growth habits: This woody shrub has branches that spread, yet the plant grows to be only about 3 feet tall. That makes it a compact choice for the landscape. It is drought and cold tolerant, and grows best in partial or full shade. Appearance: This colorful “happy” flower is a member of the daisy family, and they are available in a range of colors. Purple coneflower is known as a butterfly magnet. The hardy flower is easy to maintain, attractive in native and traditional landscapes, and reels in beneficial butterflies that love the sweet nectar found in the coneflower’s fuzzy brown-orange center. Growth habits: Coneflowers love sun, and they establish in clumps, providing pretty pops of color on your Illinois commercial property. They grow 2 to 3 feet tall, spread about 2 feet, and thrive in well-drained soil with moderate to regular watering. Growth habits: This easy-grow variety multiples quickly and tolerates wet soil. can expect it to reach 2 to 4 feet in height, depending on the variety. Your landscape provides an opportunity to create a healthy ecosystem, thriving with birds, bees and butterflies that are not only interesting to watch but beneficial for the environment. Let’s talk more about how plant choice and other landscaping features can improve your Illinois property’s population of beneficial creatures. Call Bluestem any time at 815.568.2907. Native Prairie Or Sustainable Landscape: What’s The Difference? Sustainable landscapes are of interest to property owners for a number of reasons, including their desire to make a positive contribution to the environment, reduce ongoing maintenance, and increase property value. Sustainability in the landscape refers to a balance and harmony between people, the economy and the environment—the long-term health of our properties and the planet. If we sustain the earth, we sustain ourselves. This philosophical groundwork helps explain why sustainability is moving toward the center stage of commercial landscaping. We recognize that the decisions we make when landscaping clients’ Chicago properties can make a greater contribution to the environment. But understanding exactly what is sustainable—and what native prairie means—can be a bit confusing. Some sustainable landscapes are native prairies that are made up of a restored native ecosystem, and other sustainable landscapes include native prairie plants that are arranged in a bed with a design intent. The word “prairie” can be confusing because it can describe a type of plant (prairie grasses, for example) or an entire ecosystem (native prairie). And “native” is used to describe plants that naturally grow in a region, while “native prairie” references an entire ecosystem, not just a plant. The terminology in the sustainable landscaping world can get tricky, so let’s break down some basic concepts here and illustrate the difference between a native prairie and a sustainable landscape. What Is A Native Prairie? Before we settled on the land and modified it with our infrastructure, prairie land dominated North America. Illinois once had more than 35,000 square miles of prairie, and today the state has about 3 square miles of original prairie. More commercial property owners with expansive landscapes are considering the environmental, social and economic benefits of restoring the land to native prairie, which includes a diverse planting of grasses and forbs. Native prairie restorations are beneficial because they: 1) manage and filter storm water; 2) return beneficial birds, insects and wildlife to the environment; 3) improve soil quality and structure; 4) control sound and reduce the heat island effect; and 5) increase your landscape investment while reducing landscape maintenance requirements. A sustainable landscape uses native plants—and prairie plants, including grasses like dropseed—that are arranged in the landscape with a design intent. “Design” is a key word. Unlike native prairies, where growth of grasses and forbs is somewhat random and where seeds and sprigs are installed and allowed to crop up at random in a natural way, a sustainable landscape has a distinct plan. There’s a place for every plant. Sustainable landscapes also use native plants, which have deep root systems and can hold water in the soil, prevent runoff and improve soil quality. These plants are lower maintenance than typical perennials. In many ways, a sustainable landscape may look a lot like a perennial garden, except with only native plants. However, a sustainable landscape will require much less maintenance—irrigation is generally not necessary, nor is pruning aside from an annual cutting back of grasses (if desired) and spring or fall cleanup. Native Plants Or Native Prairie? Here’s where we toss around the word “native” and sometimes confuse two very different sustainable landscaping concepts. A native plant is indigenous to the area, so it is adapted to the climate and soil conditions and can thrive without extra “inputs” like fertilizers and other lawn care treatments that are necessary when we import plants into our environment that are not designed to grow there. (Turf, for example, requires a fair amount of maintenance because turfgrass is not a naturally occurring plant in our Illinois environment.) Native plants are a sustainable option for landscaping because they can thrive without the use of additional resources like irrigation. A native plant refers to a single living, growing thing, while a native prairie is a term that describes an ecosystem. 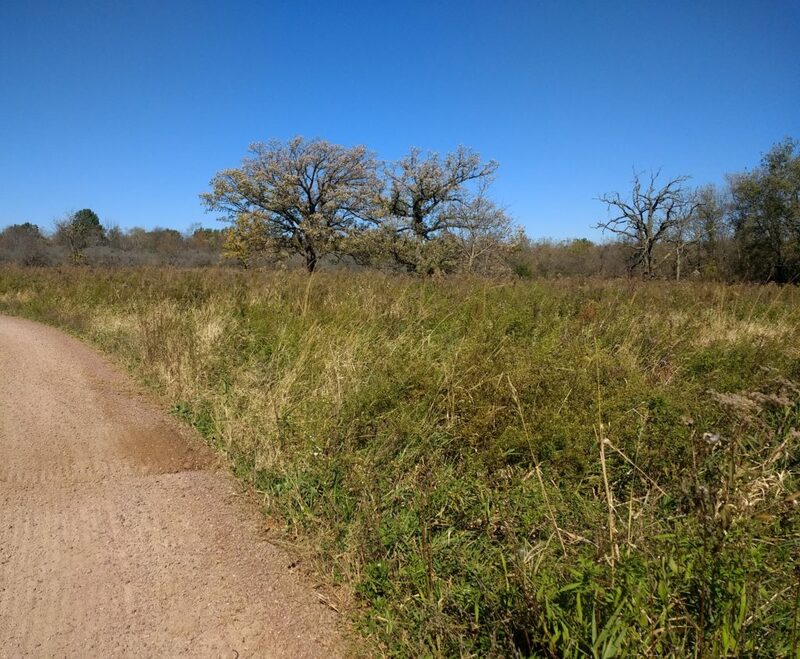 It’s an entire expanse of land filled with native prairie plants that range from grasses to wildflowers, hundreds of species that provide a diverse environment for attracting beneficial wildlife—birds, butterflies, insects, bees. Prairie Plants Or Prairie Restoration? We tend to apply the word “prairie” to plants that are native and considered sustainable for your Illinois commercial property. But just because prairie plants, such as grasses, are included in a landscape does not mean that the space is an actual prairie. Prairie plants that exist in a sustainable landscape are placed with a design intent. They are cared for to stay within bed borders. Prairie grasses in a sustainable landscape may be cut back annually. A prairie restoration is landscaping that works to return land to its pre-settlement state—or as close as possible because reinventing an original prairie is next to impossible. A prairie restoration focuses on plant diversity and including species that will benefit the soil, retain water and attract beneficial critters. Both prairie restorations and sustainable landscapes using prairie plants add value to commercial properties, while helping sustain a healthier ecosystem. We understand that there is some confusion about what a native prairie is because the terms “native” and “prairie” are used loosely to describe sustainable landscape designs. And there is a place for native prairies and for sustainable landscapes on Chicago commercial properties — some sites may include opportunities for both types of ecologically beneficial landscaping. Whether you select prairie plants for a sustainable landscape, or implement a native prairie restoration on your property because you have the space and environment to execute it, you have an opportunity to give back to the environment. Let’s talk more about native prairies and sustainable landscape options for your property. Contact Bluestem any time at 815.568.2927. If the first thought that comes to mind when native prairies are suggested for your landscape is long, billowing grasses on frontier land—we’ve got news. Today’s native prairies are tall, short, blooming, grassy, attractive and provide a highly beneficial textural backdrop for your Chicago property. Today, we find native prairies cropping up in urban spaces, corporate parks, retail properties and residents’ own back yards. At Bluestem, we are specifying native prairies for landscape installation projects for a number of reasons that we’ll explain here. We’re excited about the wide range of native prairies available now, which provides a broad, ecologically-minded plant palette suitable for all types of landscapes. Stormwater run-off is a big problem for commercial properties, and retention ponds serve the purpose of collecting the run-off but do not address water quality. Alternatively, native prairies can help with both managing and filtering storm water, because they consist of deep-rooted plants that really take hold in the soil compared to turf. This means native prairies hold more water, which keeps moisture in the soil as opposed to ushering it to retention ponds or storm sewer drains. Also, native prairies do the critical service of acting as a water filter. When water runs off of hard surfaces, including roof footprint, they pick up debris and toxins before running into sewer drains and retention ponds. Prairies slow down run-off and help filter impurities, improving water quality. Native prairies are important food sources for beneficial birds and insects, including butterflies and, especially, bees. Our ecosystem depends on the work of these creatures for activities like pollination. Also, when “good insects” populate a property they squelch out the bad guys that can cause diseases in the landscape. Prairie grasses invite nature’s important players to your Chicago commercial property, building a strong ecosystem in your landscape so it is more sustainable. Because native prairies are deep-rooted plants, they retain more moisture than turf. Prairies’ ability to hold water in the soil is advantageous, especially on stretches of land where irrigation can be expensive, and areas where exposure to the elements can make the land more vulnerable during extremes (drought times, freezing temperatures). Native prairies absorb sound from highways, traffic and the urban environment. The result is a more peaceful landscape that people who work, live and play on the property can enjoy. Also, these plants help regulate temperatures that rise in areas surrounded by concrete and asphalt — known as the heat island effect — by providing a buffer of hardy foliage and retaining much-needed moisture in the soil. Mowing and rigorous maintenance is not required for native prairies, which are designed to grow “wild” and free. (We tame the grasses as opposed to maintaining them.) Over time, mowing and rigorous maintenance is not required for native prairies because they are designed to grow naturally. Therefore, commercial property owners can save on their landscape maintenance once prairie systems are developed. Today’s prairie systems give property owners choice: tall and short grasses, wildflowers and a range of plants that add color, texture and year-round interest to your Chicago landscape. They’re visually appealing and beneficial to the ecosystem, and your budget. Let’s talk more about how we can help you to introduce native prairies to your commercial landscape as a modern approach to improving the quality and integrity of your property. Call Bluestem any time at 815.568.2927.